Graptoveria are hybrid crosses between Graptopetalum and Echeveria. Due to this mixed parentage they form a diverse genus, but most are low growing, cultivated for their beautiful shapes and colours. Graptoveria 'Douglas Huth' is easy to grow and requiring minimal care. They are very hardy plants requiring porous soil with excellent drainage. Water regularly over the summer months letting the soil dry out between watering. They can take full sun to light shade. Minimal water is required over winter. A lovely decorative house plant. 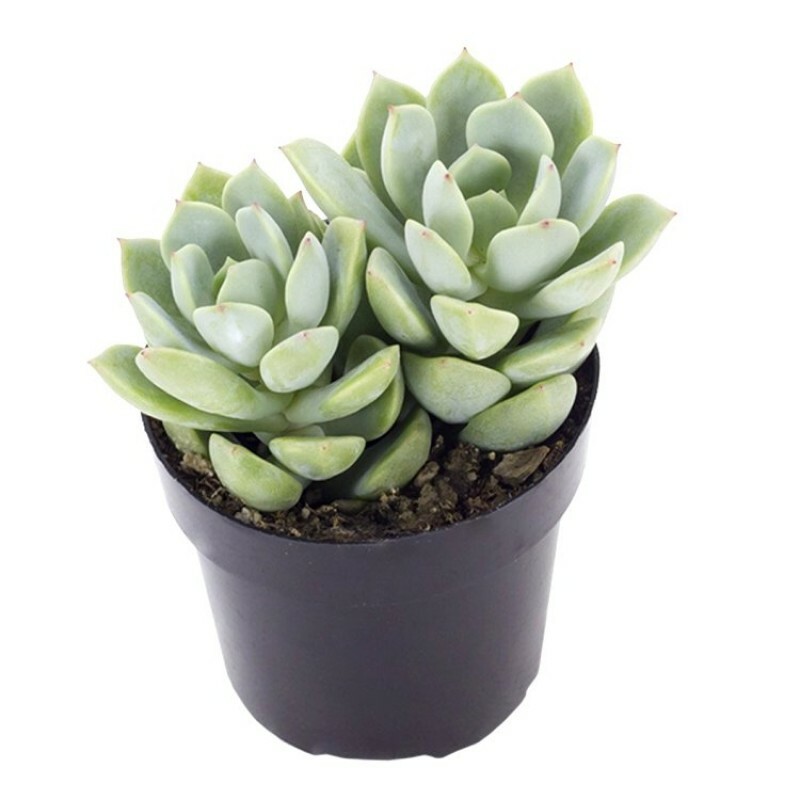 Ideal for growing indoors in well-drained soil conservatories, in succulent gardens or in pots to decorate on table top, office, lounge, patio or for window box.